How would I get ransomware? How do I avoid an attack? Use email filtering options whenever possible. Email or spam filtering can stop a malicious message from reaching your inbox. 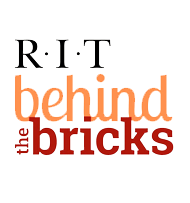 RIT filters most of the phishing/spam emails sent to us. Update all devices, software, and plug-ins on a regular basis. Check for operating system, software, and plug-in updates often--or, if possible, set up automatic updates--to minimize the likelihood of someone holding your computer or files for ransom. Quick Infosec Tip: Sign up for Multi-Function Authentication now. It will help ensure your information in Oracle myInfo/myBiz remains secure.